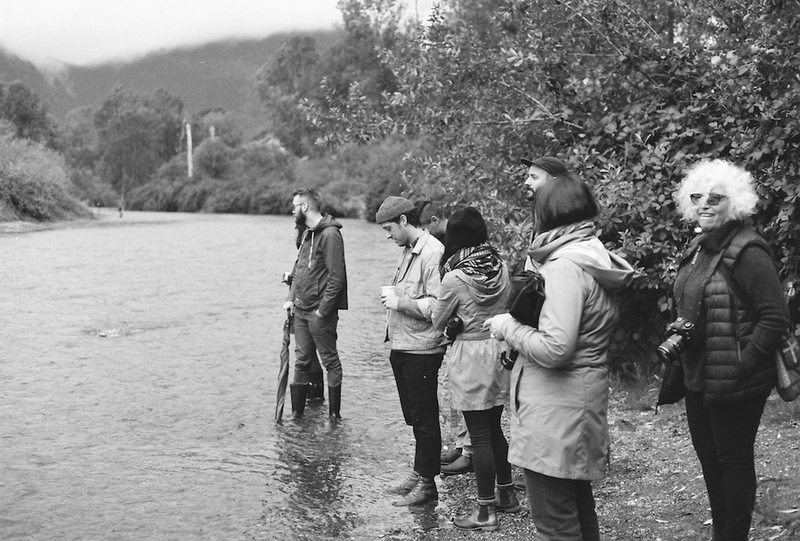 Chilliwack means "as far upriver as you can go before having to switch to a pole" in Halq’eméylem, the language of indigenous groups local to the area of Chilliwack (Ts’elxweyeqw). This meaning reflects the turning point in the anthropogenic influence, the moment at which an external dependency occurs. 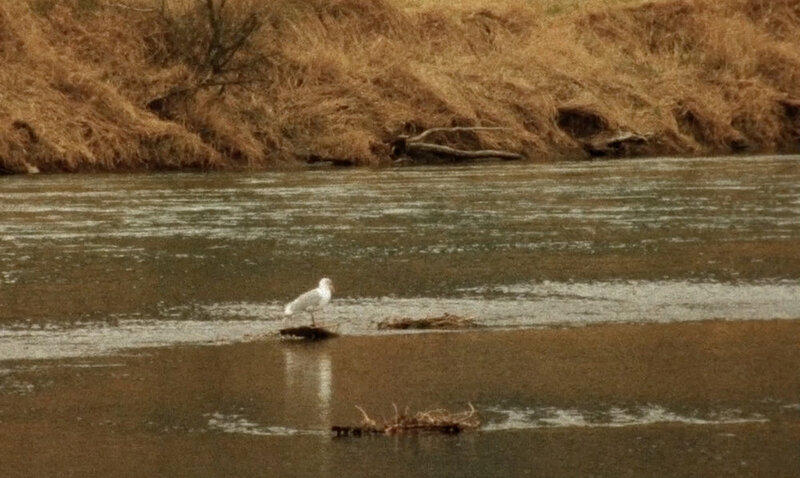 This project is presented as a document of the “super unnatural,” a term I have proposed to refer to the hidden anthropogenic influence within the naturalized landscape as a method to question what qualifies as the unnatural in nature. 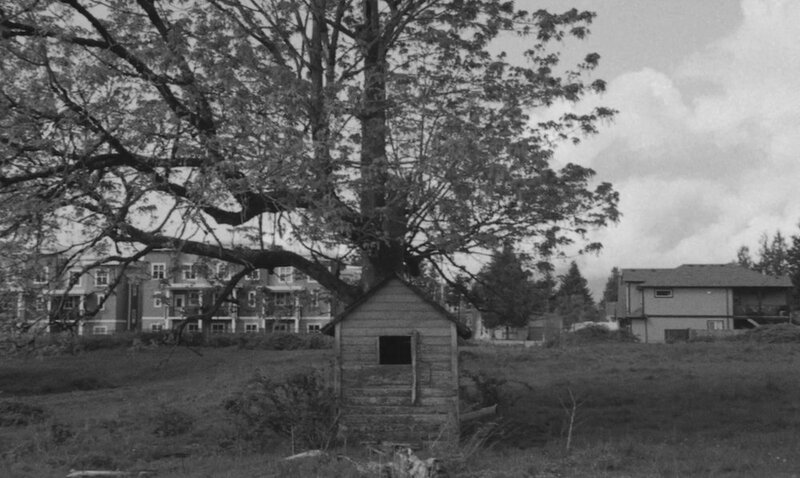 Chilliwack, as a site of agricultural production on the periphery of urban expansion, embodies the super unnatural. 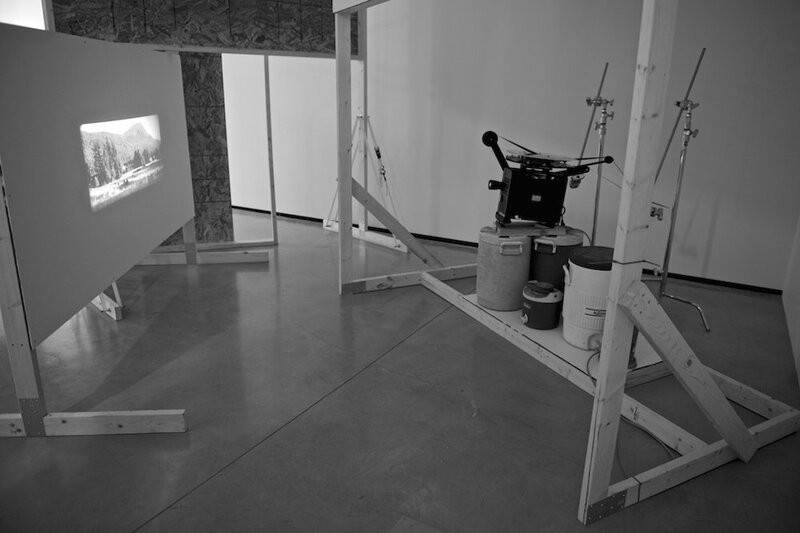 Centred on a 16mm film projection of footage shot on location in Chilliwack, the various forms of the anthropogenically-altered landscape are represented within this project to build a discourse between the perception of what is natural and what is naturalized. 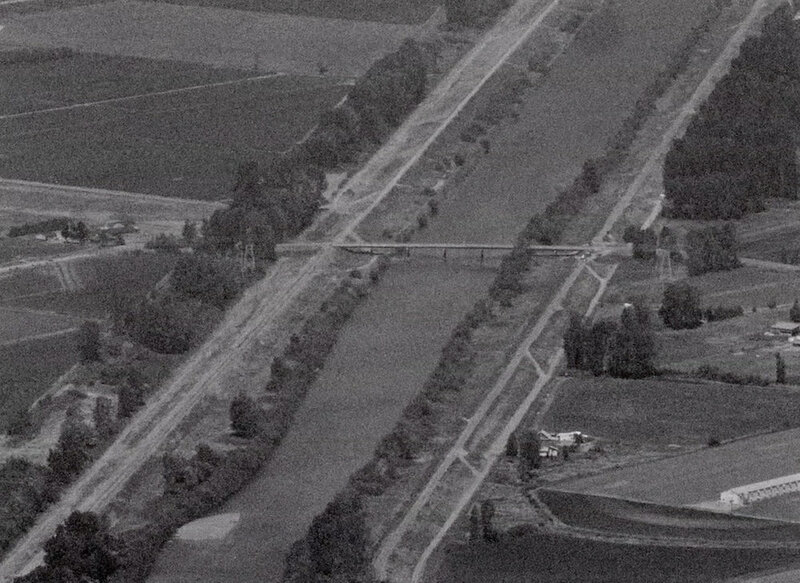 The Vedder Canal, in Chilliwack, BC, for example, is the product of a large-scale dredging project that displaced the Sumas Lake in the early 20th century. 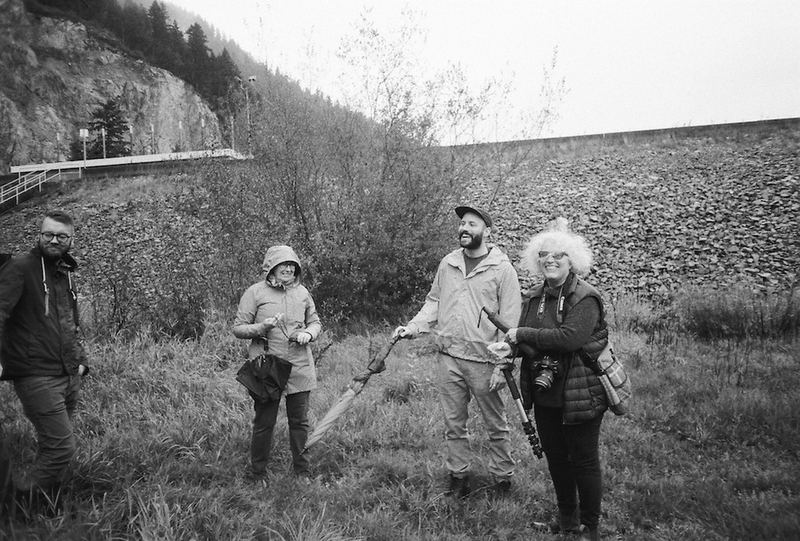 It is a functioning monument to the displacement and dispossession of indigenous life: flora, fauna and people. Just as monuments that commemorate historical events and figures become obscured as history accumulates around them, so too is the history of the canal obscured by adaptation. It is visibly artificial, but has been naturalized. 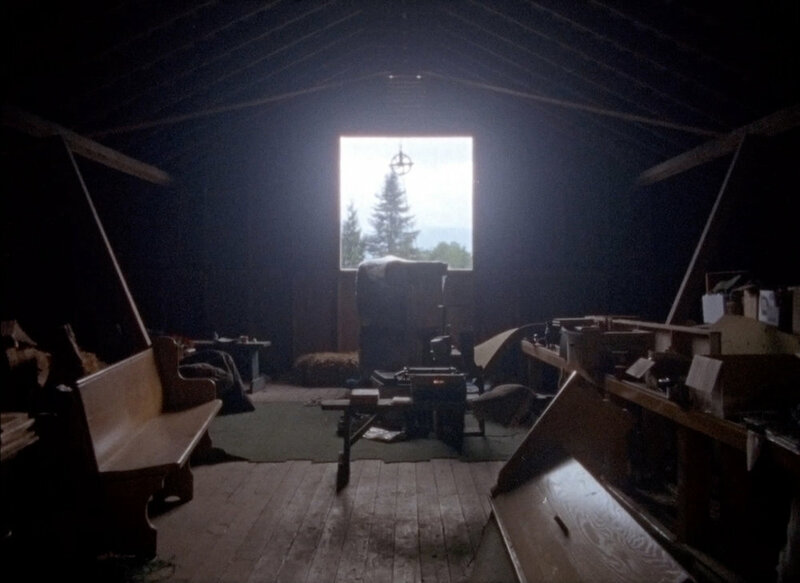 Stills from 16mm anamorphic film, b/w, sound, 7'35"
Stills from Super 16mm film transferred to HD video, colour and b/w, silent, 11'38"
Stills from 16mm film transferred to HD video, colour and b/w, silent, 10'02"